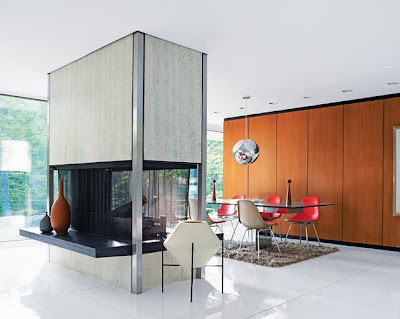 This private residence was designed by New York architect Arthur Witthoefft in 1957. 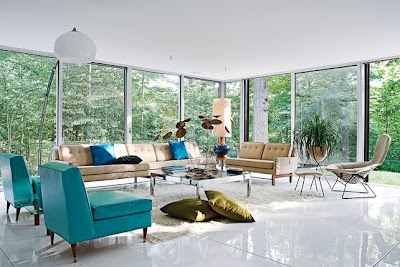 This masterpiece of mid century modern architecture is located in the Whippoorwill section of Armonk, New York. 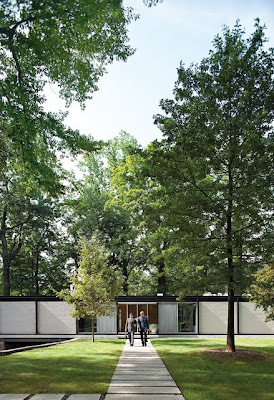 Arthur Witthoefft was an architect in the Manhattan office of corporate modernists Skidmore, Owings & Merrill, and his design was a lapidary example of simplicity in the manner of Ludwig Mies van der Rohe: a 25-by-95-foot rectangle, composed of a black exposed-steel frame, front and northern elevations clad largely in white glazed brick, and southern and western exposures enclosed by floor-to-ceiling glass sliders. 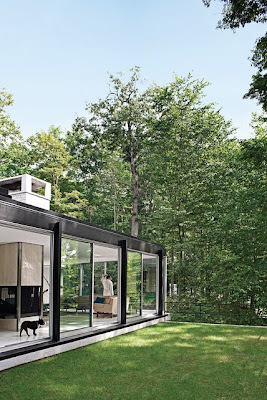 This minimal modern architectural gem shows wonderful minimalist constraint, no distracting bells-whistles, a simple pure minimal modern rectangular cube. This masterpiece which had been standing vacant for quite some time was recently restored to its former glory. And in this case, it is an improvement of the original.